BSNL EVDO Complete Guide : BSNL EVDO Plans, BSNL EVDO Tariff, BSNL EVDO Coverage, BSNL EVDO Speed, BSNL EVDO Roaming, BSNL EVDO Price, BSNL EVDO Review, BSNL EVDO Driver, BSNL EVDO CDMA, BSNL EVDO Prepaid, BSNL EVDO Postpaid, BSNL EVDO Card, BSNL EVDO Data Card, BSNL EVDO Prepaid Plans, BSNL EVDO Recharge, BSNL EVDO Online Recharge, BSNL EVDO Customer Care, BSNL EVDO Coverage, and much more..
Get Micromax MMX 300C Data Card Software for Windows OS which almost supports all Windows OS like Windows XP, Windows Vista, Windows 7, Windows 8, and Windows 10. 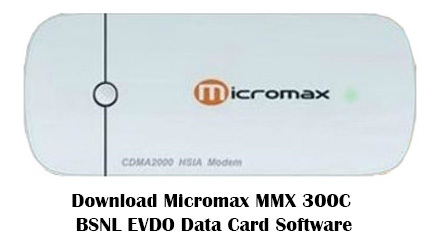 Below is the download link from where you will be able to Download Micromax MMX 300C BSNL EVDO Data Card Software. Today I will show you how to extend your BSNL EVDO Validity by doing Online Recharge. As every BSNL EVDO user will be knowing that you have to recharge with Validity Plan. 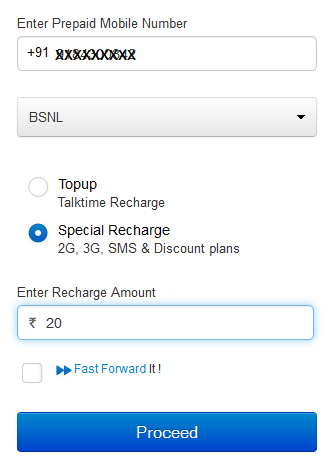 So now the main question is how to recharge your BSNL EVDO Prepaid CDMA with validity Special tariff Voucher Online. My BSNL EVDO validity was near to expire and I did the Recharge of 6 Months Validity by Online Recharge. Just go to paytm.com, enter your BSNL EVDO number select Special Recharge enter the amount Rs.20/- to extend your validity for 6 Months and click on proceed, and make the payment. Soon you will receive message in your EVDO Number showing you the validity. In this blog post we will show you how to configure BSNL EVDO Internet Settings. Many people are confused in configuring their data card to get started with BSNL EVDO Internet Connection on their computer, so below we have mentioned the BSNL EVDO Internet setup Settings. Save it and, try to connect your BSNL EVDO Internet Connection will successfully established. For Blackberry device customers, below we will mention complete Blackberry plans available in BSNL Operator. As compared to other Network operator BSNL have expensive Blackberry Plans. Below are the Blackberry Plans Available in BSNL. These are all the Blackberry Tariff Plans in Prepaid BSNL Connection. The Cheapest 3G Plans available for Indian’s on the earth Is BSNL, BSNL Operator is offering cheap 3G plans compared to other operators. BSNL have affordable 3G plans and they are priced same as 2G plans. So let us have a look at cheapest 3G plans of BSNL. These are the 3G Prepaid Plans Available in BSNL. Till now BSNL is only one operator in India which gives 3G at Cheapest price. I have tested with one method to increase the BSNL EVDO Speed by a quick method by Increasing the BSNL EVDO Signal Strength, easily increase your BSNL EVDO Signal Bars to full with an easy way. To increase the BSNL EVDO Signal Strength Bars I have installed one Signal Booster label on my BSNL EVDO Data Card which is acting as an antena and now I have gained me full Signal Bar Strength for my BSNL EVDO Data Card and now getting constant speed for my connection, speed doesn’t gets dropped now it remains fixed. Above Screenshot shows the Signal Booster label which i have pasted it on my BSNL EVDO Data Card. 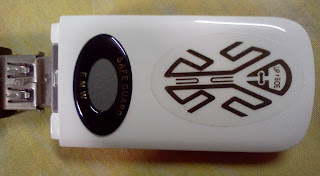 The Signal Booster Cell antena is available online to buy on eBay, I also purchased it online on eBay which costed me Rs.299/-, it’s a Cell Antena label product from USA and its available online on eBay to buy in India. I just ordered that product and waited to few days to arrive and in few days I got it, inside the envelop there was one sticker which was that Antena Signal Booster in the form of label, we just need to paste it on our Data Card and you are done, than you can connect the BSNL EVDO Data Card and then check out the difference of the BSNL EVDO Signal Strength your Speed will also be improved and you will not get signal drop-downs and no speed dropping speed will be constant. Below I am enclosing my screenshot of my BSNL EVDO Data Card Dashboard Software which shows full Signal with HSIA Mode. To buy BSNL EVDO you have to reach your nearest BSNL Office in your area and there you can ask for the BSNL EVDO Prepaid or Postpaid Connection. We will now discuss about the BSNL EVDO price means how much money you need to buy the connection. I have purchased the BSNL EVDO Connection in the month of August 2013 and below are my expenses on the BSNL EVDO which I have spent. I spend Rs.2409/- total with 1 Month Unlimited Plan Activation, My SIM got activated within 2 days and on the second day late night I was able to use the Unlimited Internet of BSNL EVDO Wireless Service. In Some states the BSNL EVDO Prepaid is not launched so they will have to buy the postpaid connection, the postpaid BSNL EVDO Connection is also same but only difference is that you have to pay bill at the End of the Month after using the Internet.